BOOM! 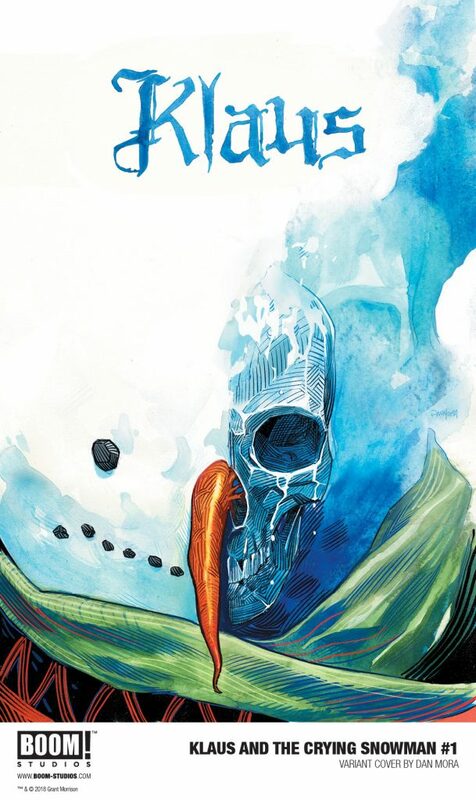 Studios announced KLAUS AND THE CRYING SNOWMAN #1, the next chapter in the Eisner Award-nominated bold reimagining of the Santa Claus mythology for modern audiences from visionary writer Grant Morrison (Green Lantern, All Star Superman) and superstar artist Dan Mora (Power Rangers: Shattered Grid), debuting in December 2018. Additionally, KLAUS: THE NEW ADVENTURES OF SANTA CLAUS, an all new hardcover collection of the titular hero’s acclaimed holiday specials, will be available for sale in comic shops on September 26th and in bookstores on October 2nd.KLAUS: HOW SANTA CLAUS BEGAN, the hardcover collection of the original award-winning series, is currently available everywhere books are sold. 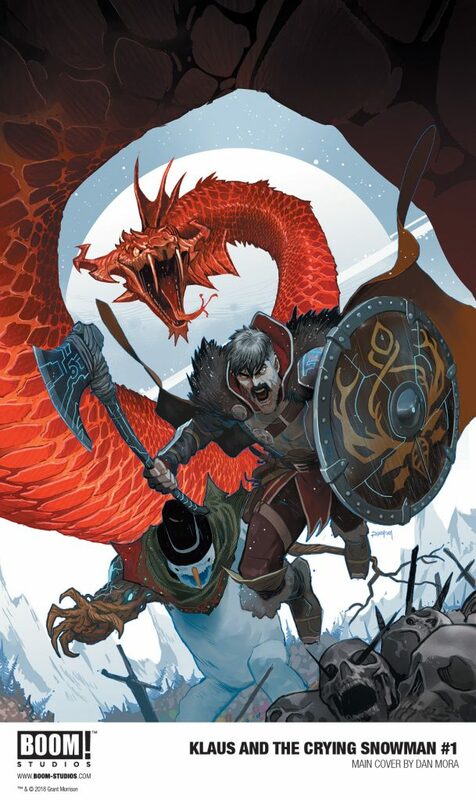 For continuing news on KLAUS AND THE CRYING SNOWMAN and more from BOOM! Studios, stay tuned to www.boom-studios.com and follow @boomstudioson Twitter.